RSL is 0-8-1 all-time against thee Dynamo on the road. Steve Griffin | The Salt Lake Tribune RSL midfielder Ned Grabavoy gets knocked to the ground by Chivas USA midfielder Oswaldo Minda during first half action in the Real Salt Lake versus Chivas USA soccer match at Rio TInto Stadium in Sandy, Utah Wednesday, October 23, 2013. Francisco Kjolseth | The Salt Lake Tribune Real Salt Lake convenes for its 2014 Media Day four weeks ahead of the season opener on March 8, as new head coach Jeff Cassar speaks during a press conference at the Ardell Brown Recreational in Sandy on Tuesday, Feb. 4, 2014. Also on hand were many RSL key players including Kyle Beckerman, Nick Rimando, Luis Gil and Alvaro Saborio. Rick Egan | The Salt Lake Tribune Real Salt Lake defender Nat Borchers (6) in MLS soccer action, Real Salt Lake vs FC Dallas, in Sandy, Saturday, May 26, 2012. Sandy • The unbeaten march moves onto Houston, a trip to try and exorcise yet another hex Real Salt Lake has been saddled with since entering Major League Soccer in 2005. RSL put to bed the winless demons north of the border last June when it beat Toronto FC 1-0 at BMO Field, earning its first-ever win in Canada. Two weeks later, it throttled FC Dallas 3-0 at Pizza Hut Park to earn the first three points ever taken back to Salt Lake from Dallas. The Dynamo are a different dynamic. RSL is 0-8-1 all time at Houston entering Sunday&apos;s Mother&apos;s Day match at BBVA Compass Field. "It&apos;s just another thing that the guys look forward to stopping, to breaking, but it&apos;s not something that we&apos;re concentrating on," said RSL coach Jeff Cassar. "We&apos;re going to be concentrating on the way [the Dynamo] play, what we can do and then focus a little bit on how Houston can be dangerous against us, because they&apos;re a team that we have to respect." Twice this year the Dynamo (3-4-2), headlined by Will Bruin, Boniek Garcia and Brad Davis, have exploded to put up four-goal outings. And after grinding out a dramatic 3-2 road win at Chicago last Saturday, RSL is confident in its abilities, no matter the locale. "We feel good going anywhere and trying to play our style of soccer," said midfielder Ned Grabavoy. "Then be mature the last 20-30 minutes, and try to find whatever result or go for whatever result might present itself." 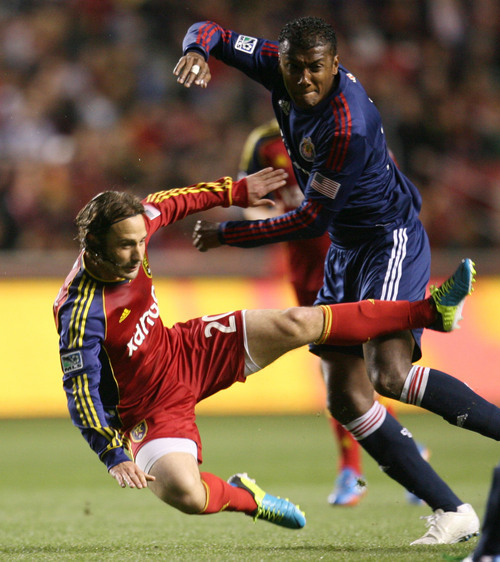 At this point, there&apos;s no jinxing RSL&apos;s unbeaten streak to start 2014. The streak has had its share of twists and bends, but it has survived nine weeks. At 4-0-5, RSL&apos;s 17 points through nine matches each have their own chapter, either the kind that thrills or left followers with a dour feeling. Whatever the approach is, it&apos;s working. "I don&apos;t think there&apos;s any pressure at all," said defender Nat Borchers. "Again, we&apos;re looking at our overall performance and we&apos;re learning from our mistakes and how far along are we? We&apos;re only nine games in. We still got a long way to go and we can play better soccer." Starting an MLS season with an unbeaten streak of nine in a row, RSL is tied for third with the 1998 L.A. Galaxy, which started that year 9-0-0. Cassar said the start is obviously great, but it wasn&apos;t the team&apos;s goal just to stay unbeaten. "I think the spirit and competition has been there," he said. "I&apos;m really looking forward to the rest of the year." Center back Chris Schuler suffered a knee injury against the Fire on Saturday in Chicago. Cassar said Schuler was expected to have an MRI done on the knee after there was some lingering soreness following the 3-2 win. 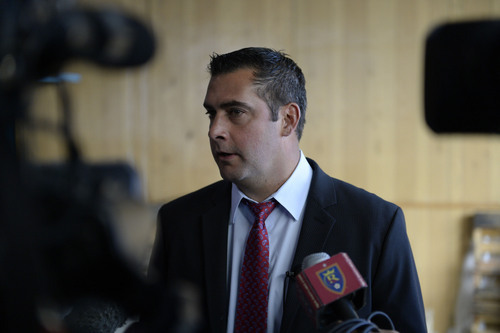 "I don&apos;t think it&apos;s a big deal," Cassar said. "The doc said it was more precautionary." 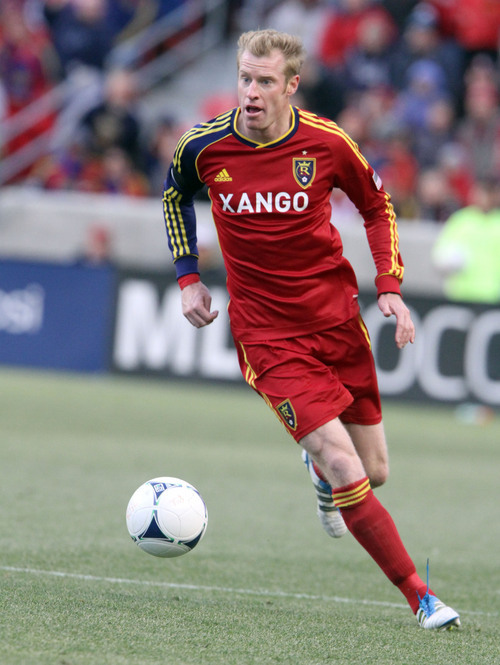 RSL&apos;s coach also broke the news that defender Rich Balchan is out on a brief loan to the Carolina RailHawks of the NASL. Battling back from an adductor injury, Balchan will see time with Carolina to work on his game fitness and return before RSL&apos;s home match against Colorado on May 17. "[We] want to get him 90-minutes fit," Cassar said. "He was totally on board and we have a great relationship with the Carolina coach. He&apos;s going to come back right after the game."